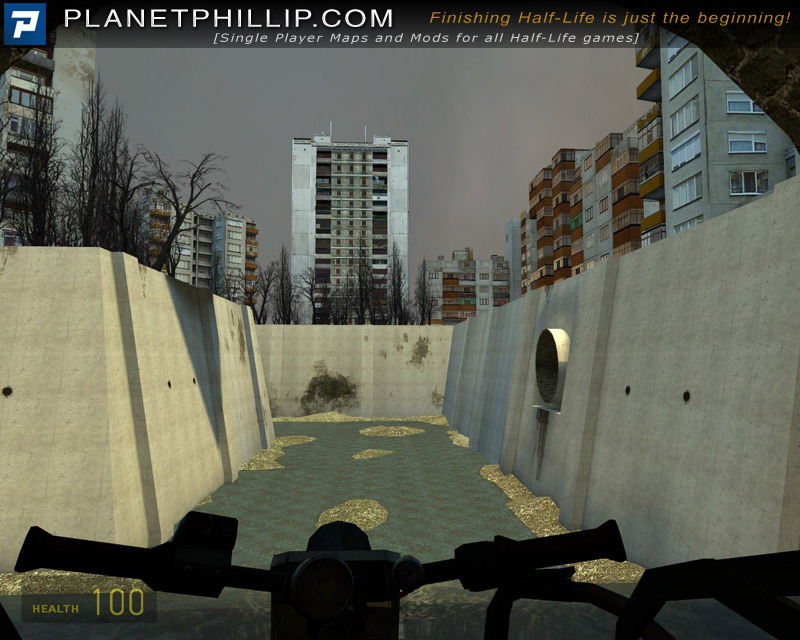 Flash Flood was a short mini-level I created in order to familiarise myself with the Hammer Editor. 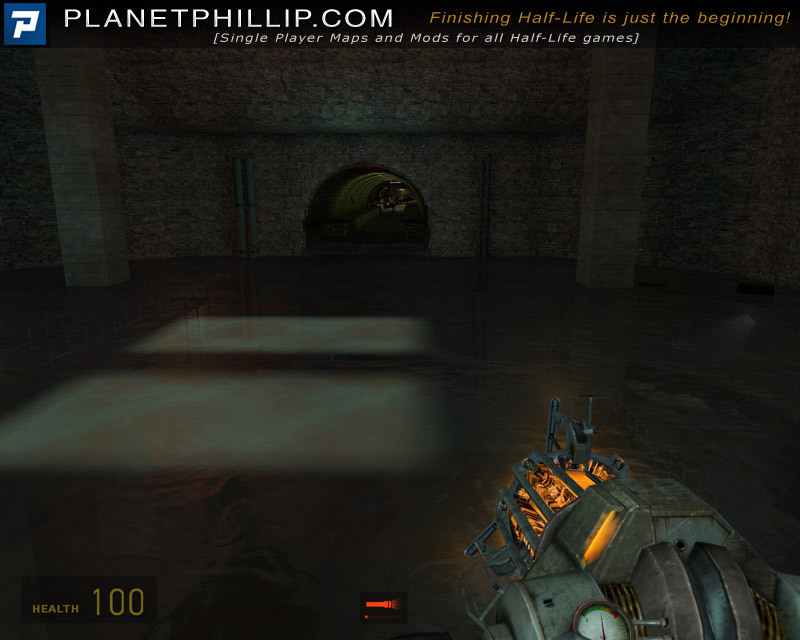 The player takes on the role of Gordon Freeman just after he recieves the airboat in the canals level of Half-Life 2. 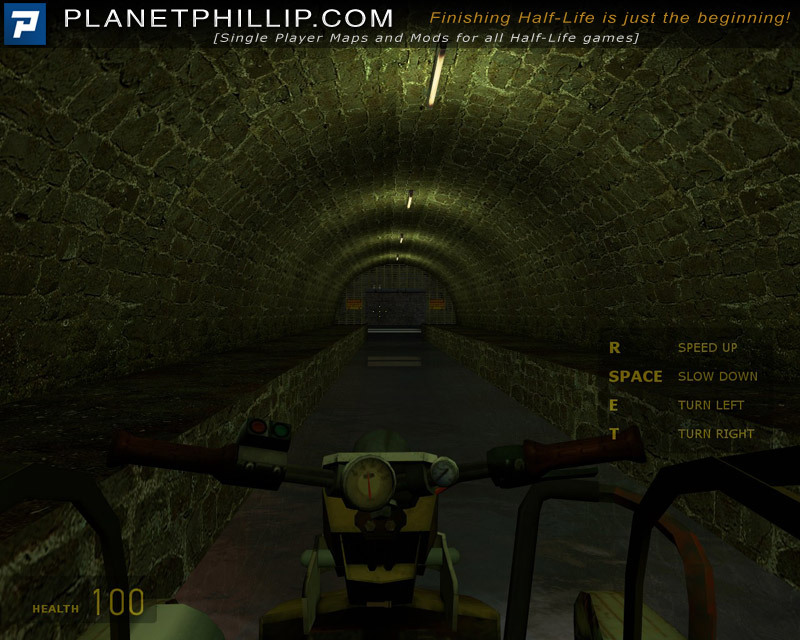 He must drive the boat through the sewers while being chased by manhacks. 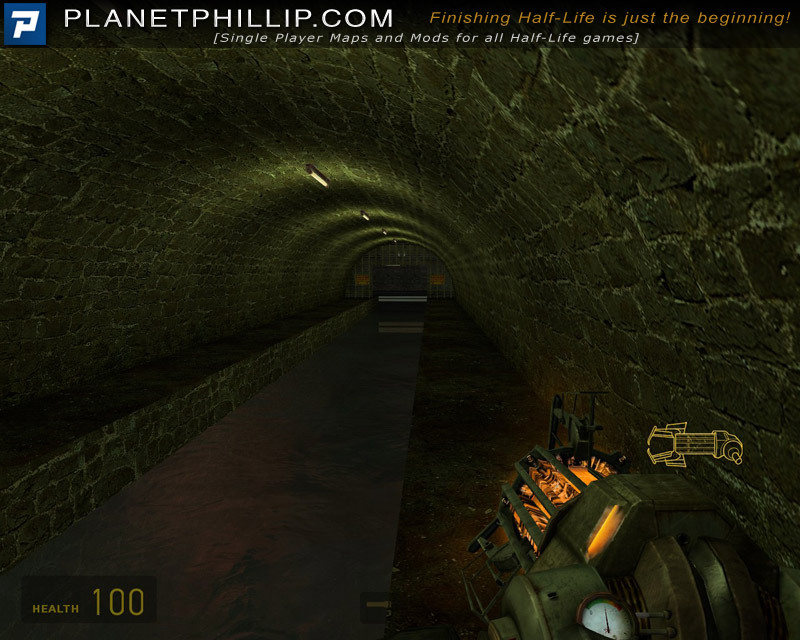 In several areas the player must stop and activate flood gates in order to raise the water level in the sewers, allowing him to continue driving the airboat. 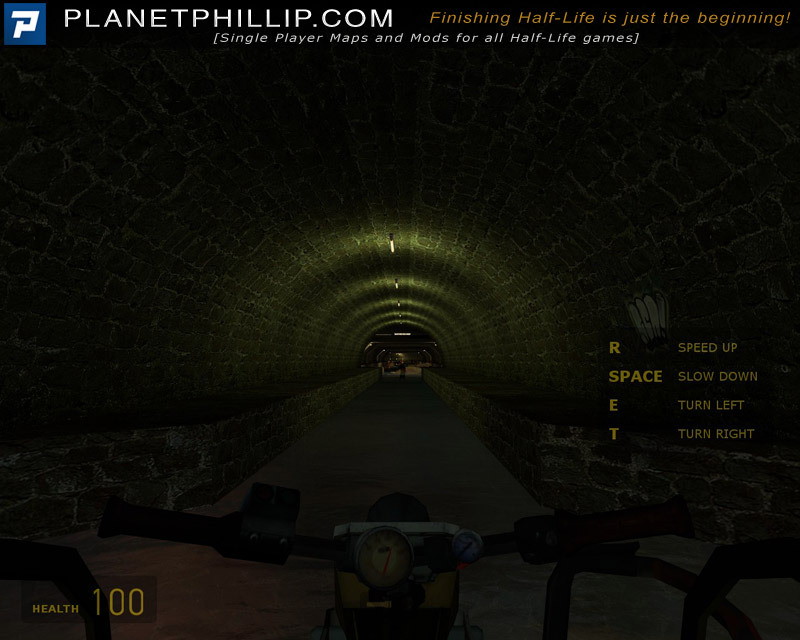 The middle section of the level is punctuated by a high-speed, high-action driving sequence in which the player gets to mow down hordes of zombies in a narrow tunnel using the airboat. 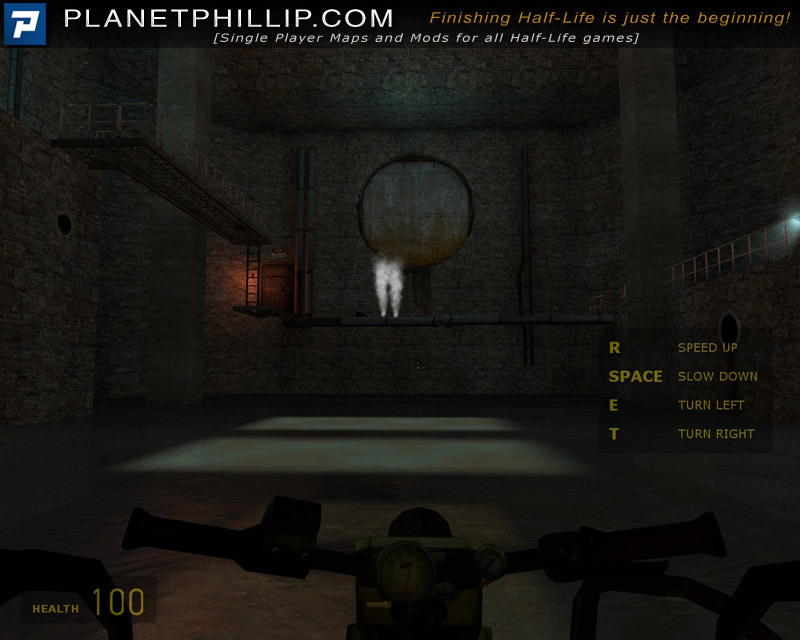 Copy SP-FlashFlood.bsp into your Half-Life 2: Episode Two Maps folder. Open the console and type map SP-FlashFlood. This is a great piece of work. 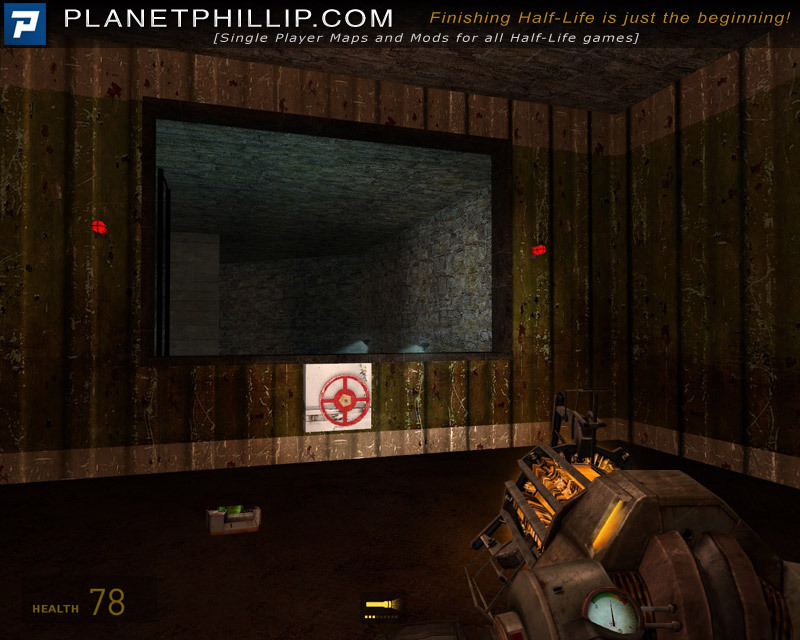 It really is my kinda of level: short, indoors, with some puzzles. The driving is more to get you from A to B, rather than for the enjoyment itself. The lighting and use of space is well done and I never felt cramped. I proabably should have looked around more, I might go back and play this again. Great use of Z axis. Loved it Evan Kawa. Too short!!!!. Just getting into it and it’s all over. Bother. Great pacing and very nicely done for fun which it is. For those of us willing to d/l and play the shorter maps, this one is a goodie. Would certainly work well as part of a mod or mappack! 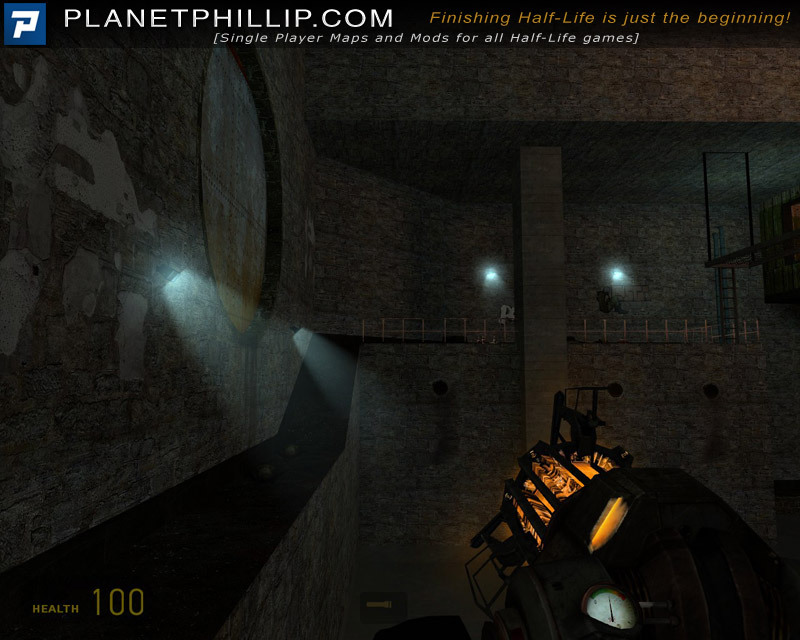 Well, the map is only 2.89 MBs, so without a doubt it’s going to be short and have an “abrupt ending” ( there’s no other way around that ) It certainly makes me feel that the author is displaying his potential.. 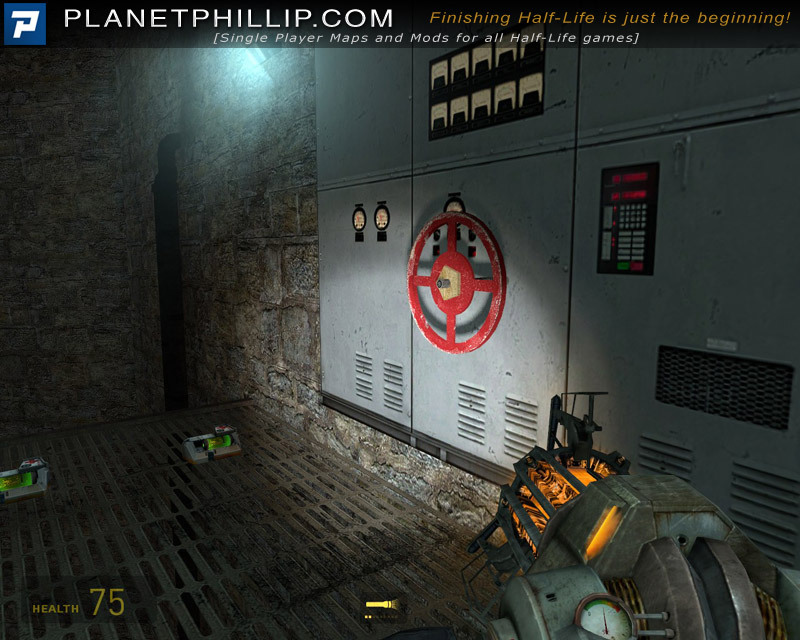 I think I heard at the end, something about “find black Mesa” or go to “black Mesa” right as it ended, so maybe this is just a “taste” of what is yet to come.. either way around it, take time to play this map..
Now I liked this – worthy of inclusion in the original game. And as with all these good’uns I find myself disappointed when it ends quickly and abruptly. Short but sweet. I do hate not having a real weapon to dispense justice with, but this was still just a series of simple puzzles. Like the rest of the recent wave, however, it still introduces some innovative gameplay. Great map. I liked that there wasn’t any weapons at all. Only problem was the lenght, but that isn’t so big thing. Its quick, well done worth a play. Well, a pretty cool quick map, which it felt so good after I was not able to play so much maps this days, so the whole gameplay felt pretty cool to me. Although it was no shooting or combat at all, I think the basic puzzle task and escape logic is pretty well implemented and overall offers a nice quick gameplay. I guess I have not much more to say, play it, specially in this scarcity map time!!! It’s a short concept map from the creator of “Ghost in the Machine”. 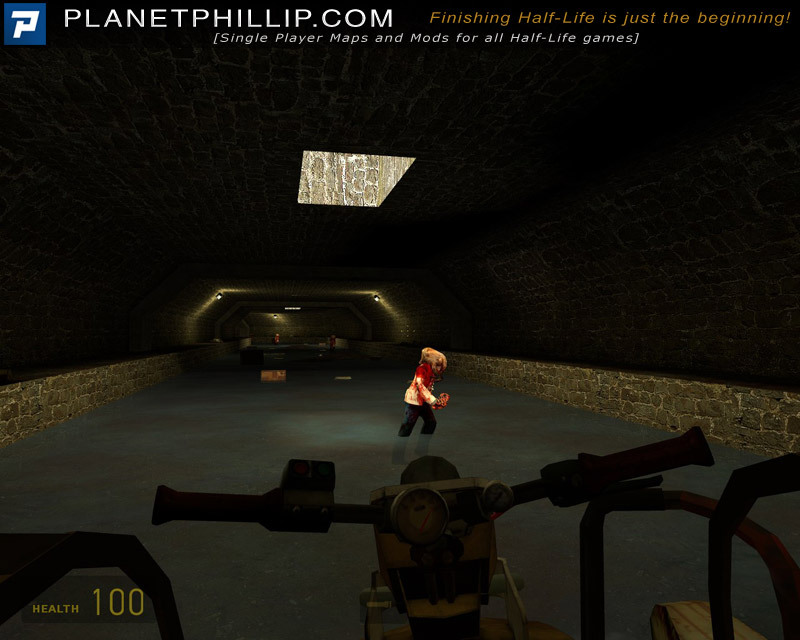 I wish he had made a full-length mod, he’s got some really great ideas. The leeches seem a bit glitchy, sometimes they would hurt and sometimes not, sometimes they wouldn’t even appear. The manhacks also got a bit irritating, but those are my only two complaints apart from it being so short. 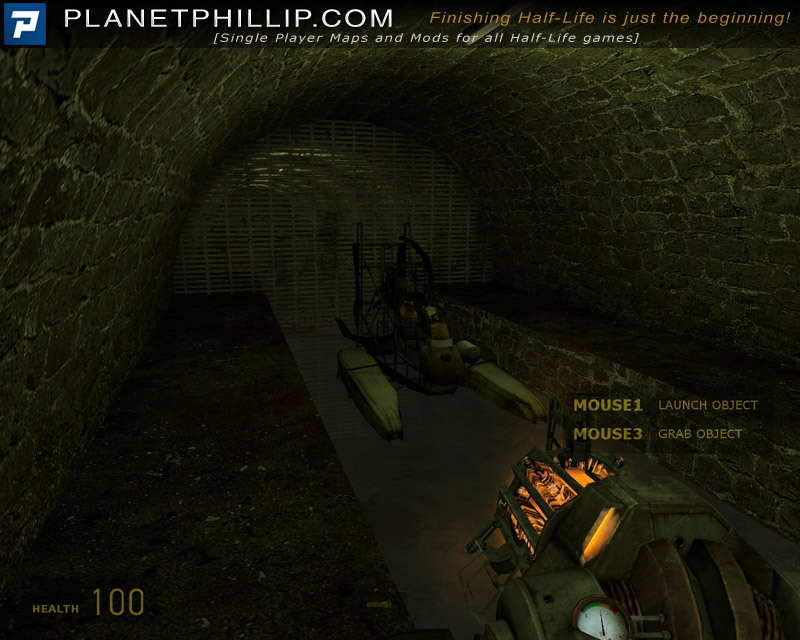 It’s interesting to play a map where your main method for killing headcrabs is the gravgun, it’s not often used that way. Running over zombies is also fun. 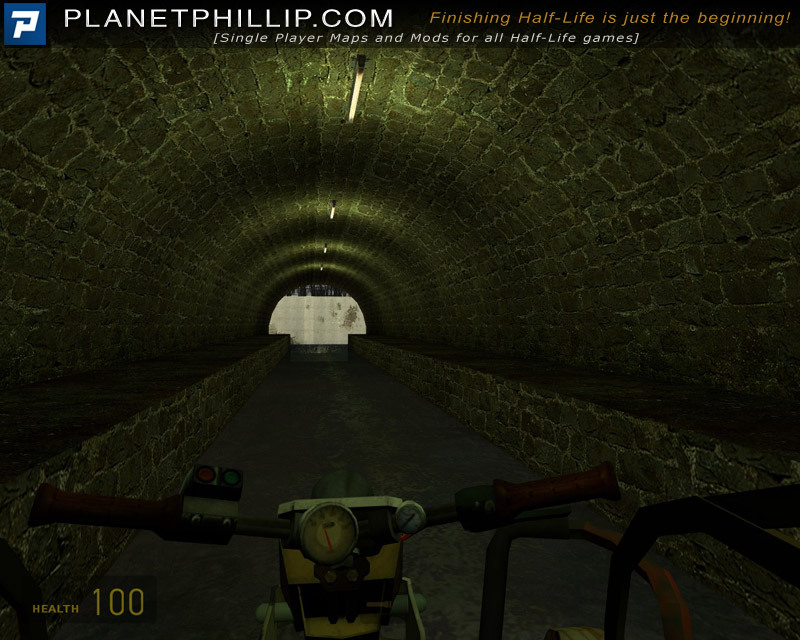 The atmosphere is great, it’s like Route Kanal but more grimy. It’s a short and easy but pretty fun and interesting map, if you like the airboat or don’t mind short maps or maps with no Combine, give it a go.